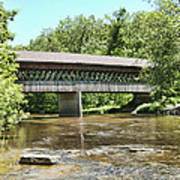 Peaceful scene and wonderful covered bridge! 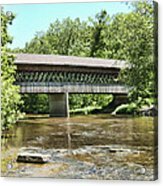 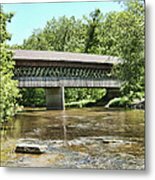 State Road Bridge is one of sixteen covered bridges of Ashtabula County, Ohio. Containing 97,000 feet of southern pine and oak, the State Road Bridge was erected in 1983 across Conneaut Creek. 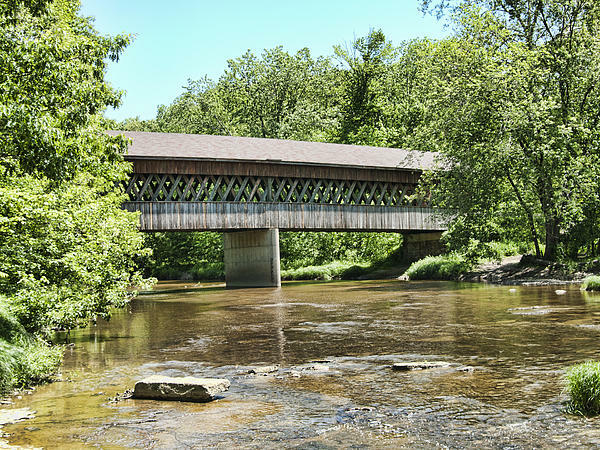 The 152-foot Town lattice span was the first covered bridge designed and built by County Engineer John Smolen, Jr. A four-foot tall window extends the length of the bridge showing the Town lattice construction.